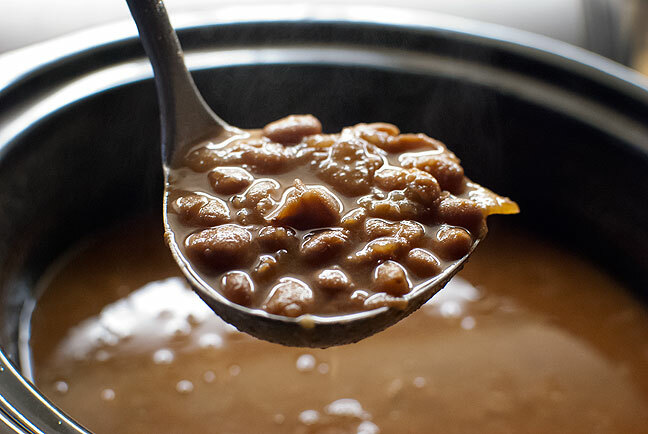 Last night, just as the first cool day of fall was coming to a close, I put a bag of pinto beans in the slow cooker with an onion. They had been cooking for 18 hours when I got home from work, opened the door and … mmmmmmmmm. Beans for dinner. I feel so happy when I make pinto beans. I love’em too! We should do beans next time I’m in town.